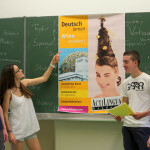 German Summer Program for Teens in Vienna, Austria. 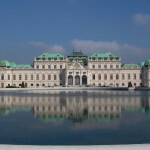 Vienna is situated on the banks of the Danube. This beautiful city has been the metropolitan center of Central Europe for many centuries. Art, music and culture all come to mind when one thinks of this city, which combines old traditions with a modern lifestyle. Vienna offers both nostalgia and vitality. 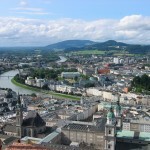 The famous cities of Prague, Budapest and Salzburg are all easily accessible from Vienna. Its tradition of classical theater has been the pride and joy of Vienna from the heyday of the Austro-Hungarian monarchy to the present day. 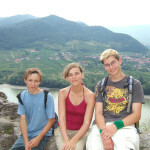 Active German Summer Program for young students 12 – 17 years of age. 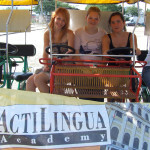 The Actilingua German language school is located in the heart of Vienna and caters to adult learners year round and also offers a German Summer Program for Teens during July and August every year. 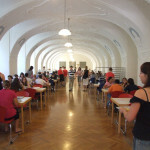 The German Language Summer program for Teens in Vienna takes place at a prestigious school, founded by Empress Maria Theresia, which provides optimum learning and recreation facilities for the Actilingua junior program. 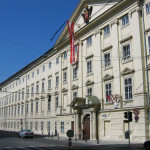 The Actilingua school is centrally located in Vienna, with the famous sights only a walk away or within easy reach on public transport. The house and grounds – a former summer residence of Emperor Karl VI, the father of Maria Theresia – are spaciously laid out. You are accommodated on campus in modern rooms together with students of the same age from different countries. 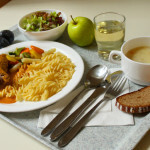 You study in small, international groups and enjoy full-board catering. 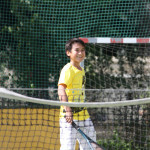 Sports grounds and tennis courts are available for use after lessons. 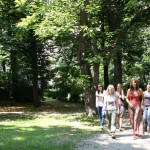 Our teachers put together an exciting leisure program on the school premises and show you the very best of Vienna. Age: 12 to 17 years of age. 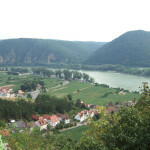 2, 3 or 5 week program consisting of 20 or 30 German lessons per week (max. 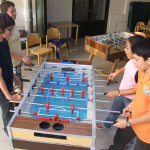 of 14 students per class), with accommodations at an on-site residence, full board, and daily activity program. Program runs from 30 June to 3 August 2019. Sports: Table tennis, volleyball, football, swimming, aerobics. Creative activities: handicrafts, music, newspaper, theater and pantomime groups. 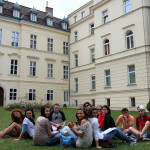 Other activities: excursions, film evenings, treasure hunt, barbecue, disco on the school premises, Vienna sightseeing, farewell party. Optional: riding and tennis lessons. Students stay in modern 2-6 bed dormitories at the school residence. In the school canteen they have full board + a snack during breaks. Comprehensive price includes all of the following: Intensive language lessons (20 or 30 lessons per week, 45 minutes per lesson), full board, lodging, supervision 24 hours per day, cultural-leisure program, excursions to the city center, 2 excursions on weekends, and books. Price includes all of the following: Intensive German language lessons (20 or 30 German lessons per week, 45 minutes per lesson), full board, lodging, supervision 24 hours per day, cultural-leisure program, excursion to the city center, 2 excursions on weekends, and books. All prices in US Dollars. Optional items NOT included in the price and payable on arrival (on-site) in Euros: public transportation card (17.10 Euros per week), insurance (18 Euros per week), refundable key deposit upon arrival (40 Euros), tennis lessons (110 Euros per 10 lessons), concert or musical (44 Euros), optional excursions: Culture Special (26 Euros per week includes guided tours including entrance fees to Vienna sites), Salzburg/Wachau (70 Euros) and Laxenburg, Burg Kreuzenstein(40 Euros).